A film by Beyoncé. Well of course it is. It was always intended to be this way. That’s why she had her own cameras set up for the show, why the cameras were positioned and ready, part of the choreography. That’s why certain moves were delivered specifically to specific cameras – not just on the day but for the future. That’s why shortly after Beychella happened, the videos were being pulled. If you know Beyoncé, and by now you should, she always has a long-range plan. This, then, was always the goal. The only question mark, I suppose, was whether it would be HBO or Netflix. She’s worked with HBO on several other exclusives, including but not limited to her self-documentary, Life Is But A Dream, and Lemonade, of course. Did Netflix outbid HBO? Or are the Netflix options simply better for delivery, for maximum exposure around the world? That’s what Homecoming is, after all: a world event. Also don’t forget Netflix’s Strong Black Lead platform, initiated by black executives at Netflix prioritising black programming. Consider this in combination with the report last week that Beyoncé signed with Adidas as opposed to say, Reebok, because she wanted to see diversity in the creative teams. Reebok is denying that account but the point is she appears to be consistently demanding representation in her partnerships to align with her own brand goals. WITH THE BLUE IVY CARTER IN REHEARSALS telling everyone else to go home! But also, since Beyoncé rarely speaks, this also represents the most comprehensive explanation of her vision and her message, what she was hoping to achieve with Homecoming – and that’s why Maya Angelou’s voice kicks off this trailer over images of black excellence, black pride, black beauty, and black JOY. 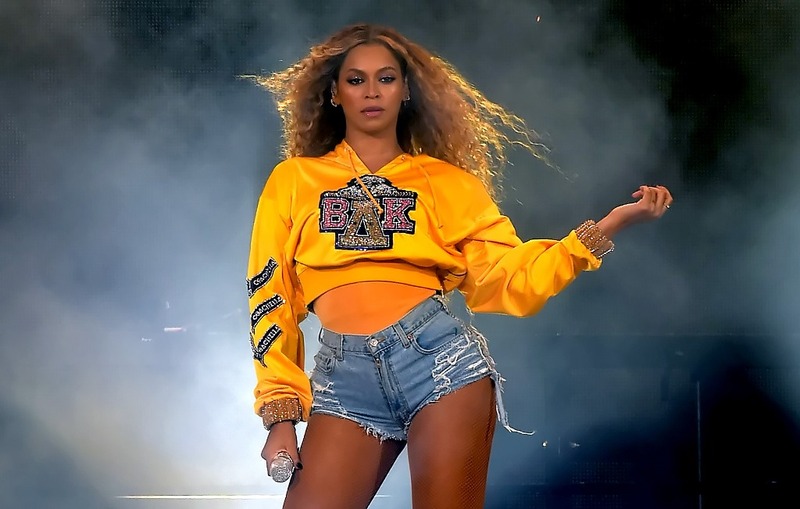 Beychella was a blessing of black culture, “an education in black expression”, by celebrating HBCUs, on a stage commanded by the first black woman to headline the festival. So when I say that she’s redefining Homecoming, it’s not really a joke. She’s making it so that the word is also now associated with her. Guess what’s trending worldwide on Twitter? Guess what will be trending on April 17th? Where will all the GIFs and memes be coming from after April 17th? The only disappointment here? Beyoncé’s Homecoming is just 2 hours and 17 minutes. Like Avengers: Endgame, I would not be mad if she gave us 4 hours, 8 hours, a whole f-cking week of this. But it wouldn’t be Beyoncé if she wasn’t saving some for that archive. Remember, there’s always a bigger plan.